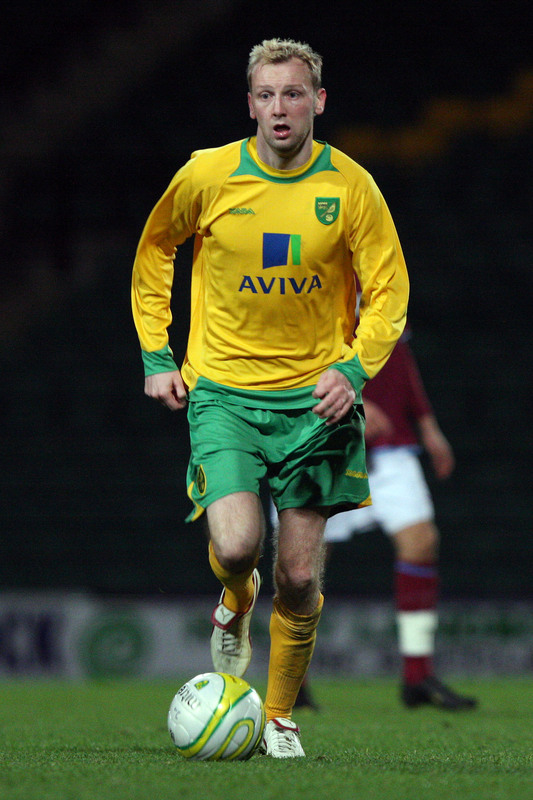 This season Anglian Home Improvements are sponsoring Norwich City star Stephen Hughes. See below for the latest match report and how Norwich got on Tuesday night against Brighton & Hove Albion. THE ON-SONG Canaries grabbed their fifth successive home win to move up into fourth place in League One with a 4-1 success over Gus Poyet’s Brighton & Hove Albion. First-half strikes from Grant Holt and Wes Hoolahan gave them a two-goal cushion at the interval, and although James Tunnicliffe gave the visitors brief hope as he pulled one back, a Tommy Elphick own goal and a neat strike from Chris Martin ensured the points were City’s. City wasted no time in taking the lead, Holt bagging his 15th goal of the season with an exquisite angled chip over Brighton ‘keeper Graeme Smith in only the third minute. Hoolahan took his tally for the current campaign to ten with City’s second on 22 minutes, reacting quickly with a low drive after Adam Drury caught the Seagulls defence napping and forced the ball to the Irishman. The first half saw a number of yellow cards produced by hard-worked referee Mr Keith Hill, three after one incident which saw players from both sides scuffling after visiting skipper Andrew Crofts tangled with Darel Russell. They were both cautioned as was Brighton’s Dean Cox. After the break Tunnicliffe side-footed home from close range to briefly make the scoreline 2-1 just after the hour, but it took Norwich just seven minutes to extend their lead again. Their third goal came when Lappin’s deep free-kick from the right touchline had the Brighton defence in disarray and as defenders tumbled over each other, the unfortunate Tommy Elphick sent the ball into his own net off his shoulder. Chris Martin gave the scoreline a more emphatic look as he rifled home a low drive from 22 yards into the corner of the net after Holt’s first effort was deflected into his path. He joins Hoolahan on ten goals so far this season. After the game City boss Paul Lambert told First News: “I think us winning any game is important for us and that was a tough game. They had one or two chances themselves, we got the goals at the right time. I thought some of the football we played at times was terrific. Lambert said although City’s free-scoring forwards might grab the headlines again, credit should also go to the grafters in the Canary midfield and defence for their support play. “The front men have got a lot of credit and plaudits for what they’ve done and they have been absolutely sensational, the goal record they’ve got. But I’m sure if you ask any of those lads, they need the lads to go fetch and carry for them as a group and a unit and I think it’s as important as the front three,” he commented.